Would you make a good marine biologist? Take our career test to find out how you match with this and over 800 other careers. What is the workplace of a Marine Biologist like? Is there a lot of travel associated with being a marine biologist? What is some good advice for marine biology students? What is it like being a marine biologist? A marine biologist is someone who is interested in learning and studying marine organisms and what their lives are like in their natural habitats. There are a vast array of career choices one can pick from - from studying large ocean animals and what they eat to investigating environmental conditions that often affect them. Everything from whales to microscopic organisms, and everything else in between, can become a specialization. Research projects are at the heart of what most marine biologists do, whether it be actually collecting specimens in the field, compiling research data, finding real life applications for the research data, or classroom teaching. Marine biology is a learning and research field and is an umbrella term that houses many specializations. In a nutshell, marine biologists study a variety of organisms and ecosystems in the ocean and other saltwater environments. A variety of products can be derived or developed from marine animals and plants. This is the specialized area of marine biotechnology, which also includes aquaculture (where aquatic organisms are grown for food, fuel, cosmetics, and pharmaceuticals). Marine biotechnology applications can be quite diverse and can range from extracting new cancer treatments to seaweed farming. Scientists trained in marine biology, microbiology, chemistry, genomics and bioinformatics are sought out to work for new pharmaceutical companies that concentrate on developing new drugs from marine resources. Marine biotechnology can be described as making practical and effective use of marine macro- or microorganisms to make products, technologies, and processes available. It covers areas such as health, aquaculture, cosmetics, industrial products and processes, food supplement, feed, and plant protection. 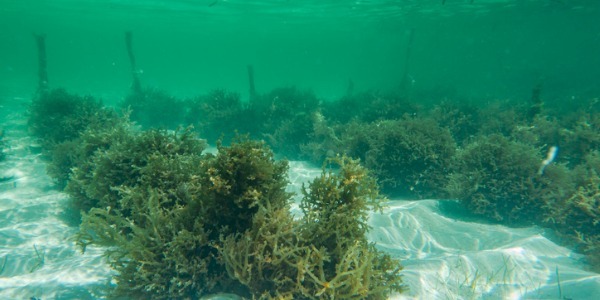 Biological oceanographers examine plants, microbes and animals and review how ocean contamination can affect marine species. They are similar to marine biologists in that they look at life forms and ecosystems, however they also study how external factors impact life forms in the oceans. Their main focus is relationships in the ocean. For example, they will research things like thermal vents and the ecology of life around them, or study the chemical effect that subaquatic earthquakes can have on an ocean's makeup and on the lifeforms that rely on it. Biological oceanographers will also look at external factors such as storms, trade winds, El Nino, atmospheric pressure, temperature fluctuation etc., and study how these factors might impact an ocean's ecology. Physical oceanographers focus on understanding ocean circulation patterns and fluid motion by studying the ocean's attributes (temperature, salinity, waves, currents and tides). Physical oceanography can be divided into descriptive and dynamical physical oceanography. Descriptive physical oceanography is research of the ocean through observations and complex numerical models which try to describe the fluid motions as precisely as possible. Dynamical physical oceanography specifically looks at the processes that control the motion of fluids, mainly with theoretical research and numerical models. Chemical oceanographers look at the chemical composition of the ocean and its interaction with the environment. They study it's acidity and try to understand how the biology and ecology of an ocean might be altered based on a changing chemical profile (many plants and animals don't do well in certain acidities and cannot flourish when seawater is too acidic or not acidic enough). When an ocean's chemical composition becomes too unbalanced, it can have an extreme effect on the ecology. Geological oceanographers (or geophysical oceanographers) research the ocean floor and use geophysical technologies to examine the makeup of the ocean bedrock and the processes of rock movement. Many work in fossil fuel prospecting (searching for new oil and gas pockets), understanding how subaquatic tectonic plates work, mapping and dating rock formations, surveying ocean geological features, or in ensuring sustainability of our ocean floors (protecting them from human activity such as mining). Aquarists care for marine life in aquariums by feeding and observing them and by maintaining their living environments. This career often requires a great deal of physical activity and time spent under water. Aquarists are in charge of keeping the water and tanks clean and at the right temperature, and sometimes fixing damaged equipment. They often have hands-on interactions with the fish and other underwater creatures in order to detect any indication of injury or illness (being a certified diver is typically a prerequisite) and they capture sick animals so they can be seen by a veterinarian. 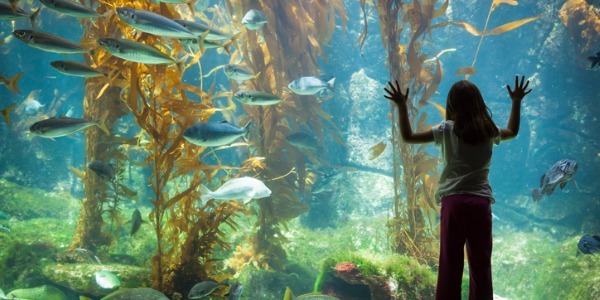 Aquarists may also provide presentations to educate the public or design exhibits for the aquarium. 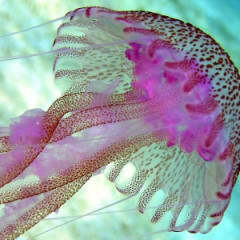 They may also be required to travel to other locations to collect specimens that could be used in the aquarium. Hydrologists analyze water resources and study the distribution, circulation and physical properties of surface and underground waters. They usually work in a specialized area such as rivers, oceans, or groundwater, and often help environmental scientists preserve and clean up the environment. Water properties are studied, such as the effects of erosion, pollution, or the cycles of water flow by using computer prediction models. Hydrologists might also come up with proposals for wastewater systems, hydroelectric power, or sustainable uses of irrigation. These proposals as well as written reports on any findings may be presented to the public or to the government. An ichthyologist studies all fish species and is knowledgeable about their behaviour, developmental patterns, and reproductive habits. Some ichthyologists work in museums and educate the public about fish species and conservation awareness. Diving certification may be needed for underwater research. When working out in the field, ichthyologists collect samples, measure, and record data. They then examine and record their specimen findings in the lab. At times, ichthyologists come across new types of fish and may even have the privilege of naming a new species. Many ichthyologists go on to earn master's or doctoral degrees, which allow more opportunity for specializing and offer options in research and academia. Those that work in conducting research spend time writing and publishing scientific papers and writing proposals to secure grants that will fund research projects. They will also give lectures and participate in student projects. A marine mammalogist may choose to work in a specific area, such as research, education, training, or rehabilitation. Some go even further and study only one aspect of a specific species, such as the behavioural interactions of whales. Many marine mammalogists work outside conducting studies in the ocean and wetlands, often relying on equipment such as scuba gear, sonar devices, video equipment, computers, robotic instruments, boats, traps, and nets. Researchers collect and analyze data, design studies, supervise research assistants, write grant proposals, and publish study findings in professional journals. Fishery biologists study fish for various reasons: to increase the number of endangered species; to decrease the number of overpopulated species; to help conserve natural habitats; to understand how fish respond to diseases (in hopes of finding medical cures for humans); and to see how the environment affects the life cycles of fish (urban development and industrial waste can negatively affect various fish habitats). Some fishery biologists collect samples and document statistics while on a boat. Others conduct experiments in fish hatcheries or near streams and lakes. Marine fishery biologists focus on fish that live in the ocean while fishery limnologists work with freshwater fish. Marine biology is a learning and research field, and many marine biologists, therefore, work in coordination with universities and other educational institutions. In fact, many marine biologists are also teachers and professors during the winter months when less work is being done in the field. An academic career starts by obtaining a Doctorate before moving on to research assistant, lecturer, and professor. Are you suited to be a marine biologist? Marine biologists have distinct personalities. They tend to be investigative individuals, which means they’re intellectual, introspective, and inquisitive. They are curious, methodical, rational, analytical, and logical. Some of them are also artistic, meaning they’re creative, intuitive, sensitive, articulate, and expressive. Does this sound like you? Take our free career test to find out if becoming a marine biologist is right for you. Oceanography centres, laboratories, aquariums, research boats and vessels are some of the possibilities for field workplaces. It would not be unusual to find a marine biology graduate working in a tide pool, a swamp, a mangrove forest, a coral reef, or any place on earth that supports marine life. Travel to interesting places is one of the possible perks for a career in marine biology. Laboratory work could involve working directly with the federal government, or the Environmental Protection Agency (EPA), or on behalf of a university's research program. Virtually every body of salt water on the planet is being studied by marine biologists, from the Caribbean seas to the arctic ocean. Nonprofit organizations are also a major employer for marine biology graduates since they fund studies and research projects for commercial products. 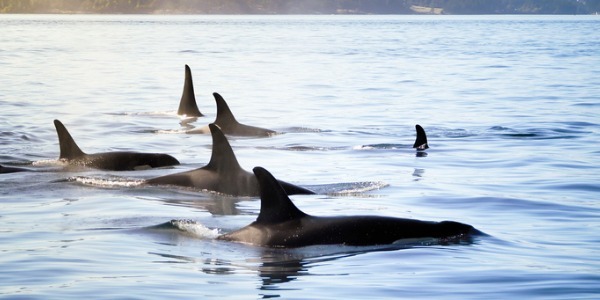 Drug companies conduct marine research as well, as marine life is often at the cutting edge of research. Travel is really dependant on what type of marine life you are going to study. If you work in a lab, then obviously you will do very little travelling, if at all. If you get a job at the zoo or at an aquarium, the position will be based there, with perhaps the occasional need to travel for a research project. If you are researching the migration of whales or are doing deep sea research, then you can expect to be travelling and to be out at sea for extended periods of time. The best way to learn about marine life and how the ocean works is to do research. Talk to your professors, and get to know them. It is one of the best investments you can make as they are the ones that are running the labs and doing the research. They also know other professors/scientists doing research, and know who needs help, with what, and where. If you are interested in scuba diving, learning how to dive is a valuable skill. One of the quickest ways to get in with the researchers at a university is to know how to dive. Researchers are always looking for divers, and you'll probably get many offers to help out with various research projects. Take some computer programming courses. Scientists live in a world of data, so knowing how to program is essential. Consider taking a research semester abroad. There are quite a few programs that will allow you to go abroad, do research, and get course credit. The wonderful thing about a career in marine biology is how varied the work is. Because the specific subject areas one can focus on are almost limitless, there really isn't a typical day for a marine biologist. Some might research the migration of whales, while others might study the tiny plankton, microbes, and even the seawater itself. A day for one marine biologist might involve scuba diving for mussels in the morning, bringing them back to the lab for observation in the afternoon, recording any relevant data, and doing some statistical analysis (using a computer) by comparing studies already done by other scientists. A day for another marine biologist may be teaching undergraduate students or guiding postgraduate students into the world of discovery research. Many marine biologists focus on research papers. For example, a marine biologist may study the effects of oil or chemical spills released into the ocean on plant and animal life. They may then present their research papers at scientific conferences, and/or publish the results of their research in scientific journals.